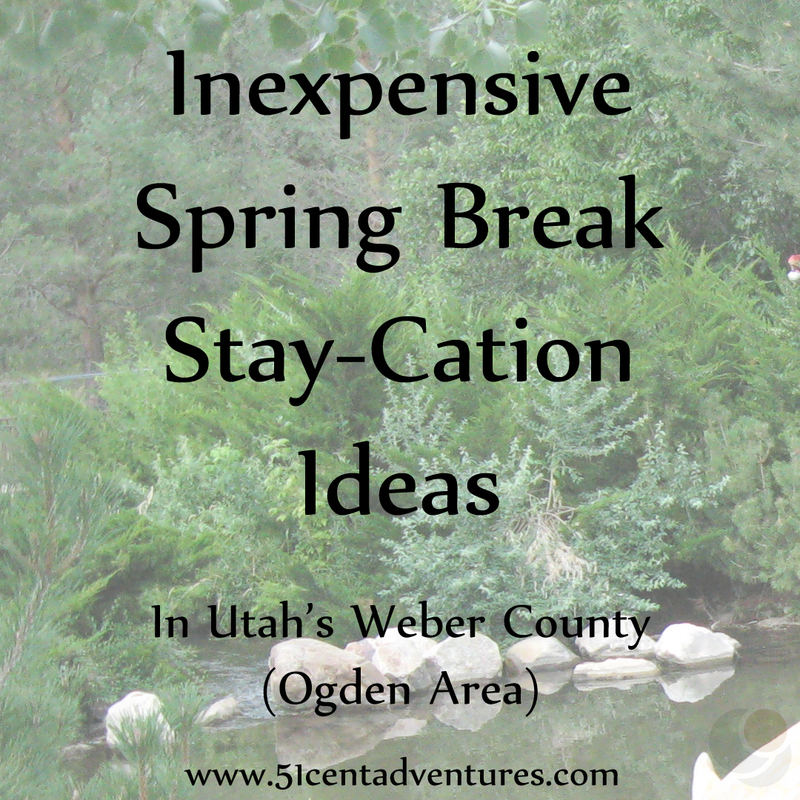 Are you planning a stay-cation for Spring Break, but need ideas for where to go and what to do? 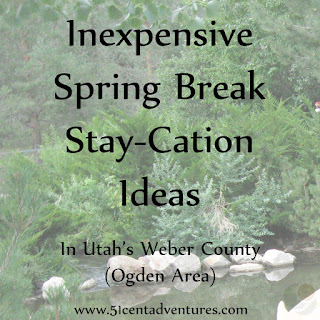 Well here is a list of places you can visit in Utah's Weber County (Ogden Area). Each of these things is open in the spring and costs less than $10 per person. In fact, many of these places are free. Cost: Entrance fee is $2 per person - children under 5 are fee. Activities cost extra money. Hours: Opens every spring on Easter Weekend. Stays open until late October. Before the Mormon Pioneers settled the area, Utah was a wilderness area that was home to Native American's and mountain men fur trappers. Fort Buenaventura is a place where you can learn about this fascinating time in Utah's history. There are tipis and old buildings to help you envision what life would have been like during those days. There are also over 80 acres of trees and wetlands that make this a wonderful outdoor area. Activities offered include canoeing, black powder rifle shooting, and camping. You can even reserve a tipi for a night. Unfortunately, this fort will not be open until after spring break. However, it opens Easter weekend and so I think that earns it a place on this list. In fact, the famous annual "Mountain Man Rendezvous" will take place Easter weekend. 36th St. & Wall Ave. Hours: The mall is open 10:00 to 9:00. Train hours may differ. This is a little train that you can ride in as it drives around the mall. The ride is fairly short, but it’s fun. This activity will especially appeal to little children. Cost: Tickets are $5 for an adult or $3 for a child. They offer a family pass for $15 for 2 adults and up to 8 children. Ogden has been a railroad hub since the 1860's. This charming museum celebrates Ogden's railroad history and is sure to please the train lover in your life. And it might make you into a train lover too. There museum has displays full of train artifacts. Ranging from parts of the original wooden tressel that spanned the Great Salt Lake to a real caboose that you can climb inside. 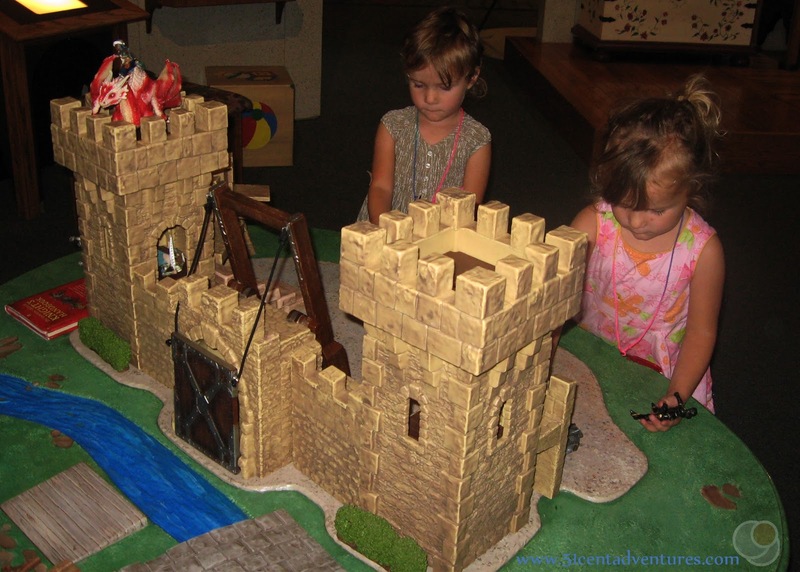 There is a great hands on play area for children. 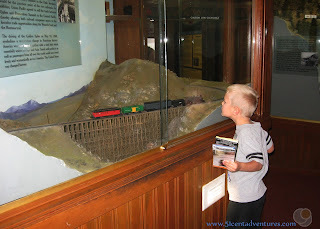 The most exciting part of this museum is the model train layout depicting the railroad route through Utah and surrounding states. Four model trains run through the layout and are a delight to children of all ages. And make sure you don’t miss the full scale trains on display to the south of the building. Your admission ticket also grants you access to the Browning Firearms Museum, the Classic Car Museum, and the Cowboy and Western Heritage Museum all located inside the Union Station Building. Cost: Tickets are $5 for an adult and $7 per child. On Friday nights from 6 to 8 tickets are $2 for adults and $4 for children. Hours: Open Monday through Saturday from 10:00 to 5:00. On Fridays the museum is open until 8:00. This is not the type of museum where you can't touch anything. In fact, its the opposite. Everything in this museum is really a toy that children are encouraged to play with. This is a great place for children to come play and explore. There is something to excite everyone. Play areas include trains, farm animals, dress ups, play houses, a hospital, a building area, and a small stage - just to name a few. And don’t forget the large tree house/ staircase in the middle of the building. Cost: Adults are $7 and children are $5. There is a group rate that reduces the cost by $2 per ticket. You must have more than 10 paying customers and make a reservation 7 days in advance for the group rate. Hours: Hours vary depending on the season, but during the spring the park is open from 10:00 to 5:00 every day of the week. 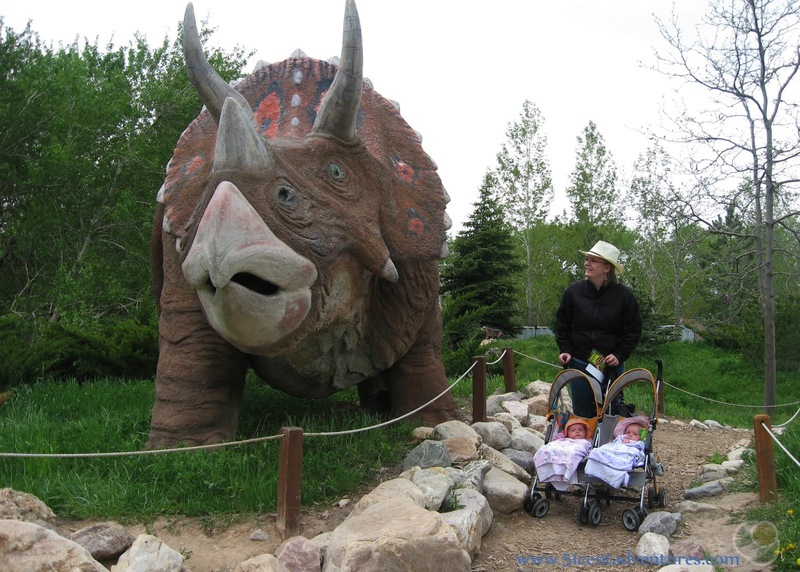 You don’t have to drive all the way to Vernal to see cool dinosaur bones and statues. And you don’t have to pay the high prices at the Museum of Natural History or the Museum of Ancient Life at Thanksgiving Point. Instead there is a local, affordable, and memorable Dinosaur experience waiting for you in Ogden. 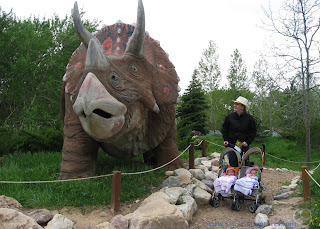 This dinosaur park has over 50 full size replicas of dinosaurs on display outside. You can walk around the park and view the different statues. Children can also have fun playing on the playground. Inside the museum you can see fossils of dinosaurs as well as plants and animals. And don't forget to see the animatronic T-Rex located upstairs. Ogden Botanical Center is part of the Utah State University Extension program. The center has several gardens to show the many types of plants that you can grow in Utah. Classes are offered throughout the year for a fee. 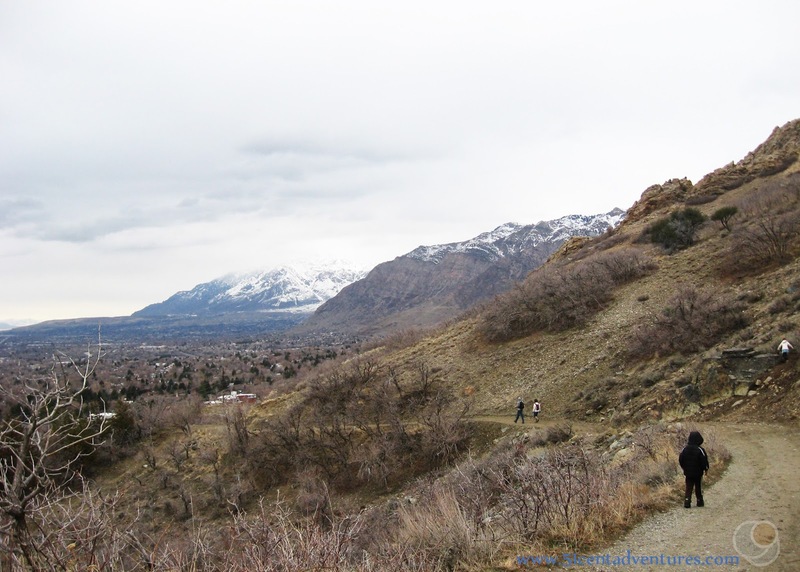 This is a nature preserve that is located only a few miles from downtown Ogden. They have walking trails and education centers. They have many events every month and offer many classes and other activities. You may want to consider buying a membership to the Nature Center. The cost is only $30 per person or $45 for a family. In addition to free admission to the Nature Center you will also receive one free admission to the Dinosaur Park on weekdays, free admission to the Railroad Museum, and free admission to the Tracy Aviary on the first Thursday of every month. That's a pretty awesome deal. Thousands of years ago Lake Bonneville filled the valleys along the Wasatch Front. Evidence of the lake remains along the edges of the mountains. Efforts have been made to create a trail along the whole shoreline of the long-gone lake. The Ogden area has some of the best parts of the trail. See the website for trail head information. 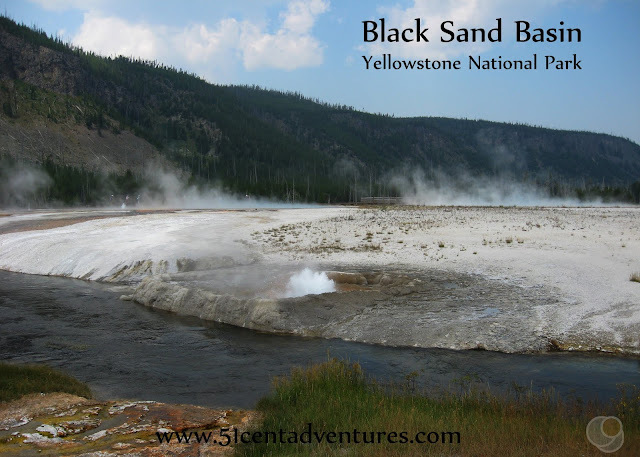 This is a great place to go hiking in the spring when the higher trails in the mountains still have too much snow. Also you'll see amazing views of the Ogden Area and the Great Salt Lake.